This is a print of a watercolor and ink ATC I did. 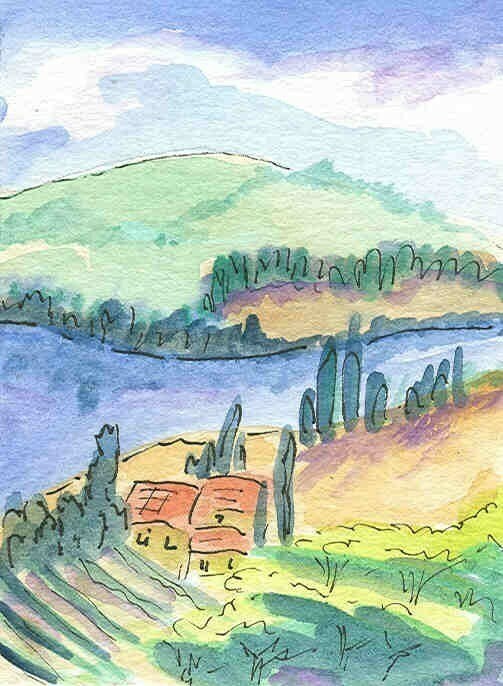 I just love the Italian countryside vistas! Thank you so much for these beautiful cards, and for extras: appreciated. I know some of these will end up framed and displayed. Thanks again!